It’s been a while since I’ve posted. My husband had a series of health issues recently, and is now recovered. I’m happy to be back online, and have some new finds to report. First off, I’ll be adding Kinnikinnick Foods Inc. to my product list. I only recently discovered their bread. 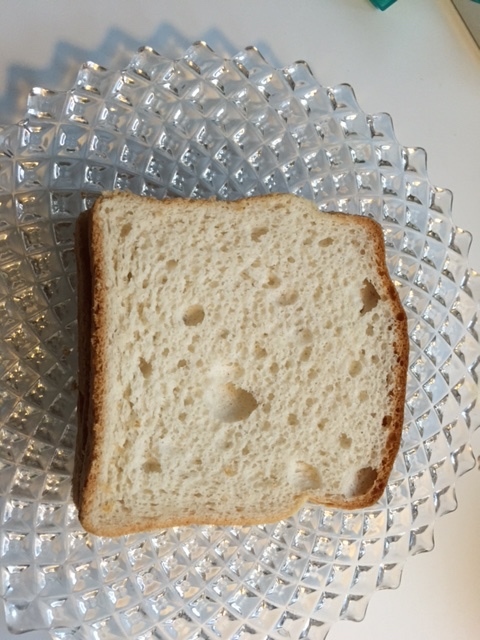 I bought a loaf of their white bread for sandwiches, and it is the closest thing to conventional white bread I’ve found. Texture and size are really an improvement over other loaves. I checked online, and they have a number of gluten free products that I plan on trying, including several other breads. I hope my local stores carry their hamburger and hot dog buns. There will also be another addition to the list of restaurants that offer a selection of gluten free dishes. Chessie’s is in the Ice House, and the restaurant provides seating in a train car. Check out their website, and see a photo of the restaurant, along with a view of their menu. The gluten free options are a section at the end of the menu. This entry was posted in Uncategorized and tagged Barrington restaurant, Canadian company, Chessies, gluten free, Kinnikinnick, white bread on December 20, 2014 by goforsix.